Googly Woogly Baby Care Soap is a herbal formulation which cleanse and softning your baby's skin gently.This soap contain Almond oil, Shea butter, Olive oil, Honey, Milk Powder and Tulsi Ext. Helps moisturise your baby’s delicate skin by reducing moisture loss while cleansing it ever so gently. Pamper your baby with love and care. Ozona’s special baby soap ensures that the tender skin of your little one is smoothly caressed and engulfed in the forth affection. We are highly acclaimed in the industry for offering an optimum quality range of Baby Soap. Mainly looking for Bulk and Export Inquries. We are offering a high-quality array of Lafresh Baby Soap to our prestigious clients. Offering dermatologically tested baby soap that are rich in moisture content. 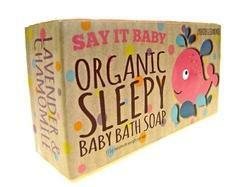 These baby soaps are pure, mild & gentle to the baby's skin. 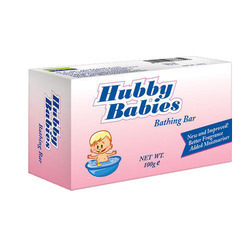 Available in bulk quantities these baby soaps are competitively priced & custom packed.